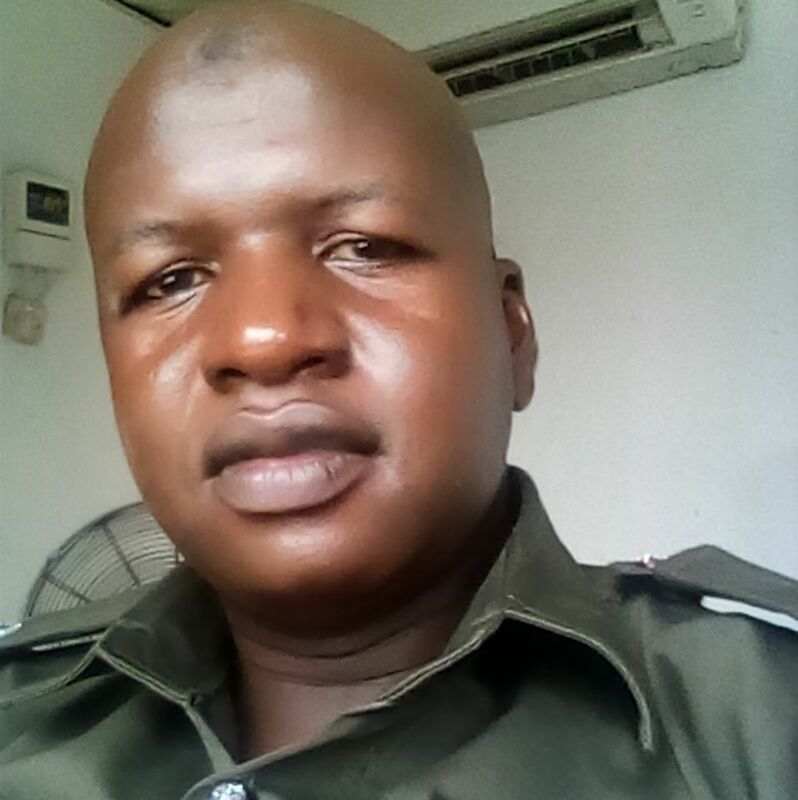 Inusa Saidu Biu, a police officer form Biu Local Government Area in Borno State has threatened to kill 200 people in Nigeria if President Buhari dies. Biu for some unknown reasons think his hero, President Buhari was poisoned hence his decision to slaughter 200 people in cold blood should he die. 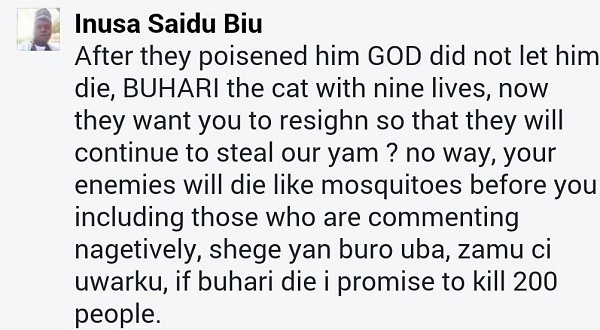 He also described Buhari as the cat with nine lives.